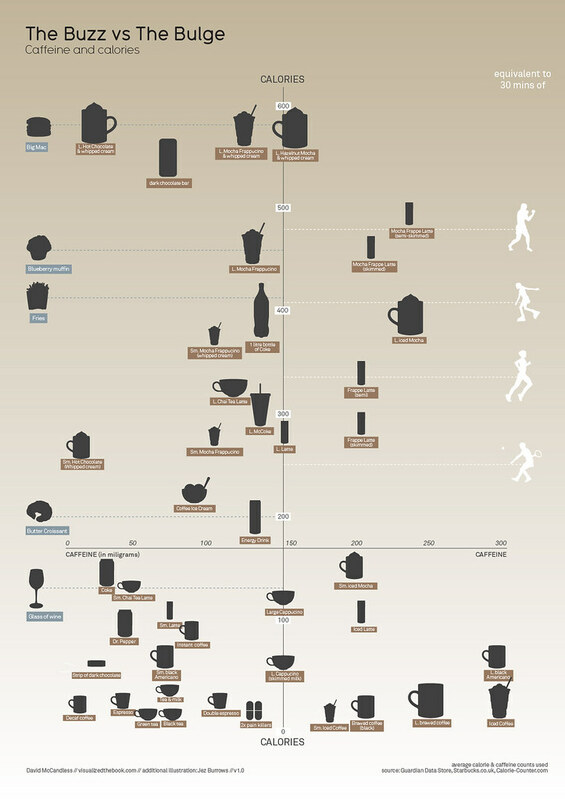 Click on the image above to see the full size visualisation by David McCandless comparing coffees and snacks to the amount of caffeine and even equivalent activities to burn those calouries. Of course there is an implication that caffeine can help you burn fat, but the truth is a bit more complicated than that. Coffee and stress increase cortisol which can inhibit fat burning and preferentially burn muscle instead.